You can choose to deduct mileage or actual car expenses. If you want to use the standard mileage rate for a car you own, you must choose to use it in the first year the car is available for use in your business. Then, in later years, you can choose to use either the standard mileage rate or actual expenses. 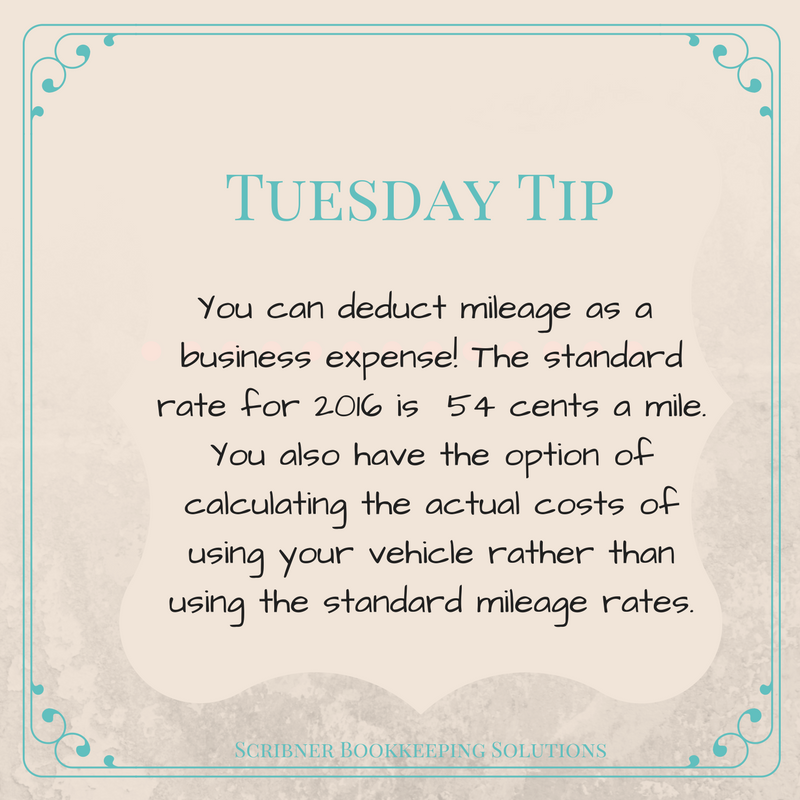 The standard mileage rate for 2016 business expenses is 54 cents a mile.